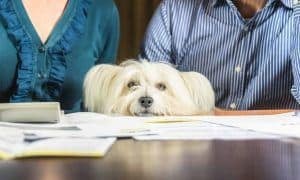 If you’re looking to expand or rejuvenate your backyard space, but aren’t sure of how to do so with a dog, you might feel overwhelmed by the sheer volume of advice floating around the internet. Fortunately, there are several easy tips to keep in mind when landscaping with a furry friend on the premises. 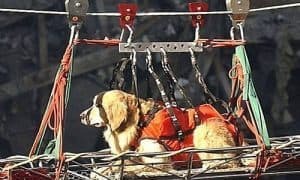 There are virtually hundreds of dog-safe plants out there, and few that are dangerous. However, planting any of the few toxic plants means you are playing with fire. 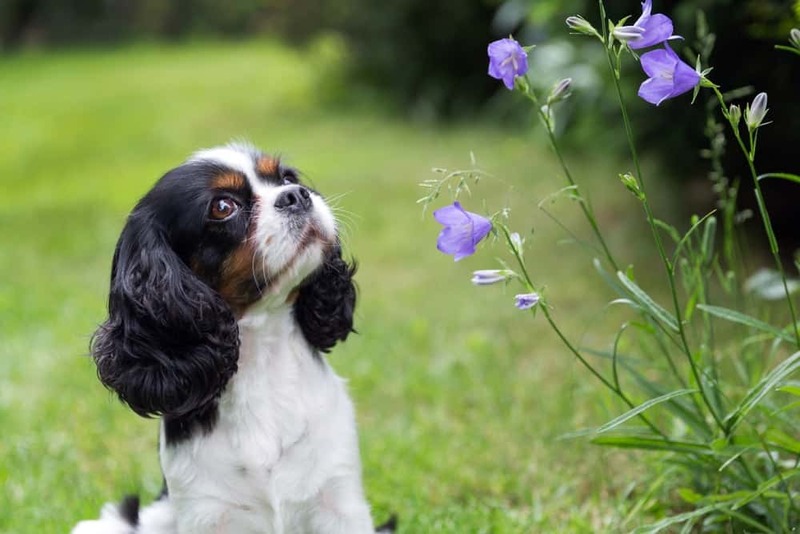 Plants like pansies, aster, daylilies, marigolds, and violets are safe around dogs, while almost all herbs are safe as well. Plus, many dogs don’t like how they smell, so they’ll usually stay far away anyway. Plants that are toxic include holly, daffodils, garlic, and tomatoes. 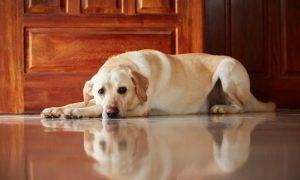 Aloe vera, hydrangeas, chrysanthemums, carnations, dahlias, and peonies can also be toxic to pups. Thorny plants like roses aren’t toxic, but can cause eye or skin injuries. Mulch is a necessary addition to any garden, but especially if you have dogs. Dogs will gravitate towards mulched areas, as they provide a spot to cool down and stay pleasantly damp. Dogs might chew on mulch, however, so avoid mulch with chemicals that are toxic to dogs. Cocoa mulch can be toxic, as it contains the same chemicals that are dangerous to dogs in pieces of chocolate. Other mulches can stick to your dog’s coat, so try to use mulch like shredded hardwood, wood chips, or gravel. Water features make your lawn more attractive and also make irrigation a little easier. 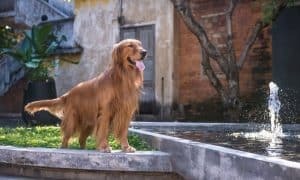 A pond or pool can be a great backyard feature if you have the space, but keep in mind that these features come with additional upkeep and can also be dangerous if it’s difficult for your dog to get in and out of them. Sandboxes are another popular addition, especially if you have children. 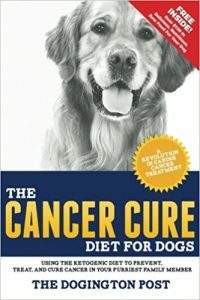 These can be a lot of fun for a pup, especially one who likes to dig–making this a great way to keep your dog from digging up your flower beds–, but they can also be an unintended place for him to do his business. Keep this in mind before planning your installation. 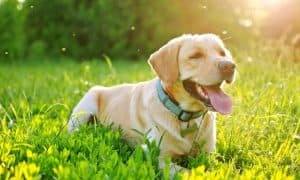 Always be cautious about dogs eating grass, especially when it comes to how you treat your lawn. Organic fertilizers, like manure or lawn clippings, are a great way to fertilize your lawn without making your dog sick. 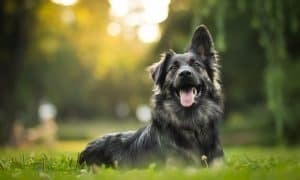 Toxic lawn and plant care products can be extremely dangerous – dogs who were exposed to synthetic fertilizers and pesticides had almost double the risk of acquiring canine cancer as those who were not. 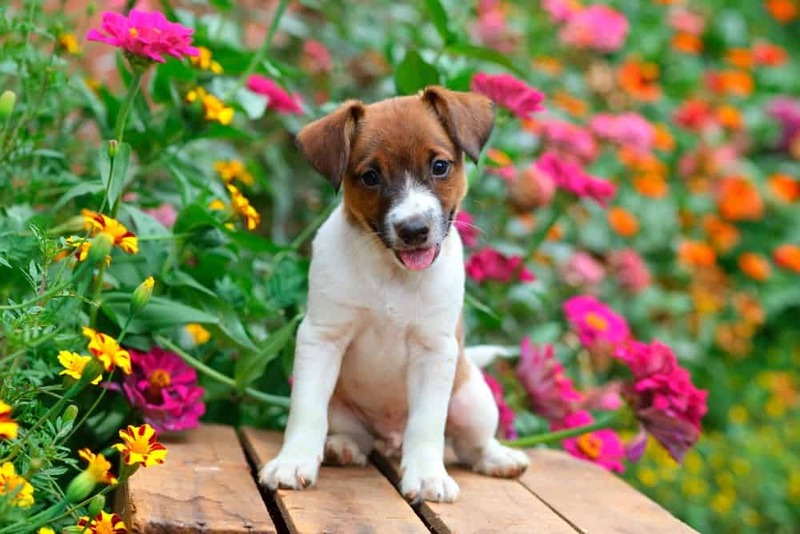 If you can plant attractive plants that also reduce pest populations, that’s a win for both you and your pup. Plants like lavender, rosemary, and mint make your backyard smell great, and also help to repel fleas, as do plants like strawberries and oat grass. However, some plants with similar benefits should not be planted in areas that are trafficked by dogs. The most common include foxglove, iris, and lily of the valley. Reseeding is a great way to fill in bald spots on your lawn that can be caused by too much sun exposure, pests, or soil compaction. 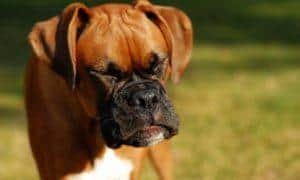 However, having a dog increases the likelihood that brown or yellow spots might appear on your lawn, because, well, they have to pee somewhere! If you find these spots, don’t panic. Simply reseed and carry on. 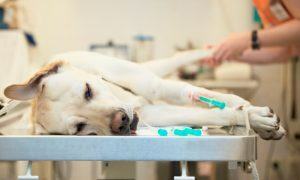 Try not to use sharp stones that will cut your dog’s feet. Also, don’t try to retrain your dog to walk around new paths, as he likely will not heed your urging. 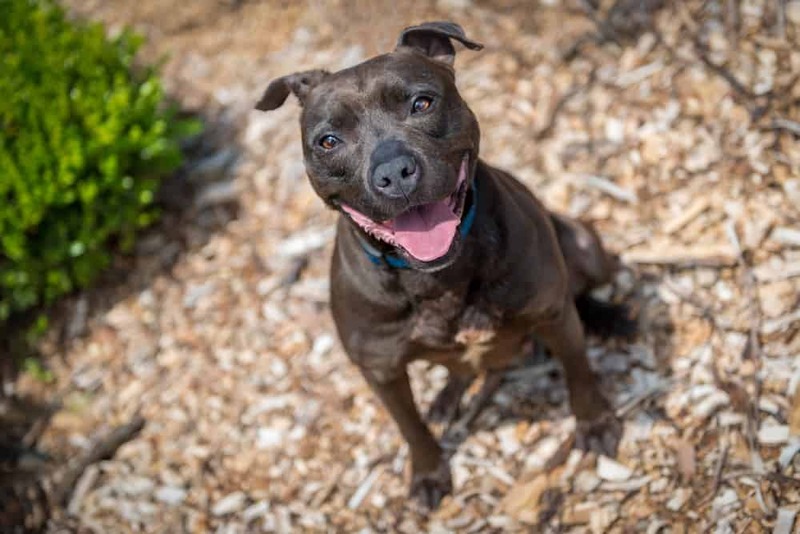 Instead, you might edge your newly-planted flower beds with rocks or tall shrubs to prevent your dog from wandering inside them. Build your landscape around your dog’s behavior. Pay attention to where your dog tends to walk, and plant your flowers, shrubs, and vegetables based on this. This will help reduce the likelihood that your plants will be destroyed, and also give your lawn a more cohesive look. Plant all species densely, and consider lining each bed with ornamental grasses or shrubs that will resist any trampling. Try to put brittle plants in the center of your planting groups. Ultimately, your lawn and landscape are meant to be enjoyed – not fretted over. So if your dog doesn’t immediately respect your plantings, don’t panic. 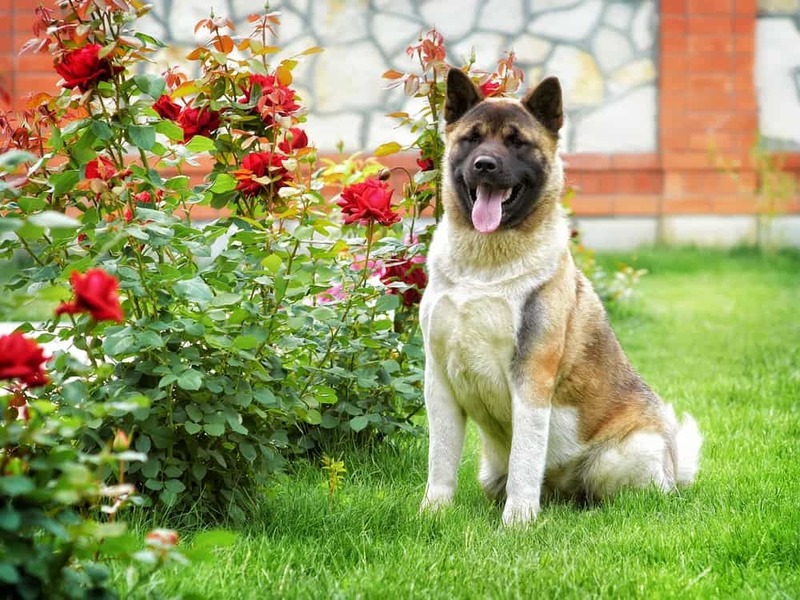 With a little bit of retraining, he will learn how to stay off your flowers–and maybe even to do his business in a designated corner of the lawn. Before you begin planting, remember that your dog wants to enjoy the backyard as much as you do. Dogs need plenty of exercise as well as a place to do their business. Provide your pup with designated spaces to do both. 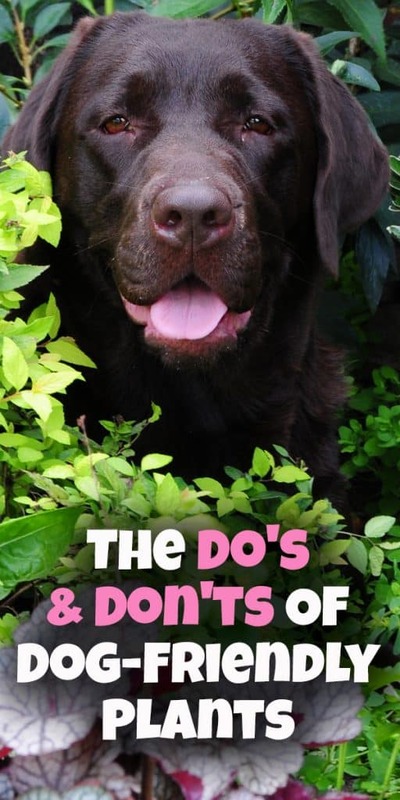 While you shouldn’t expect your lawn and garden to be perfect in every way, keep in mind that you can train your four-legged friend to respect boundaries. With a little bit of planning and extra mindfulness, you can both enjoy your verdant backyard oasis throughout the entire year. Mike Fitzgerald is an outdoor living expert and explorer with his dog, Champion. When he’s not traveling to nature’s most well known beauty spots, he tends to the greenery surrounding his home. Found this article helpful? Pin it!